EduTech Systems, Inc. dba Great Plains Wind and Communication is a full service company specializing in network services, point to point wireless and fiber. We also specialize in wind turbine sales, installation and service. EduTech Systems, Inc. was started in 1993. Initially, we were a technology consulting company that aimed services primarily at the education market. As technology improved and became more prevalent we began providing on-site computer network support for customers in both the education and non-education markets. Along with this endeavor we began to install fiber optic networks. Sixteen years ago we began installing high speed point wireless data networks. Our customers included any entity that had locations in more than one place. This enabled them to share data and voice across long distances on a computer network they owned. Thus, we became involved in building towers to accommodate these customers. We have currently installed, accident free, over 2000 towers across the country. At a point in time due to our relationships in the agricultural industry and with our abilities to construct towers we became involved in installing GPS satellite based relay points to enable farmers to maximize their utilization of GPS based farming. 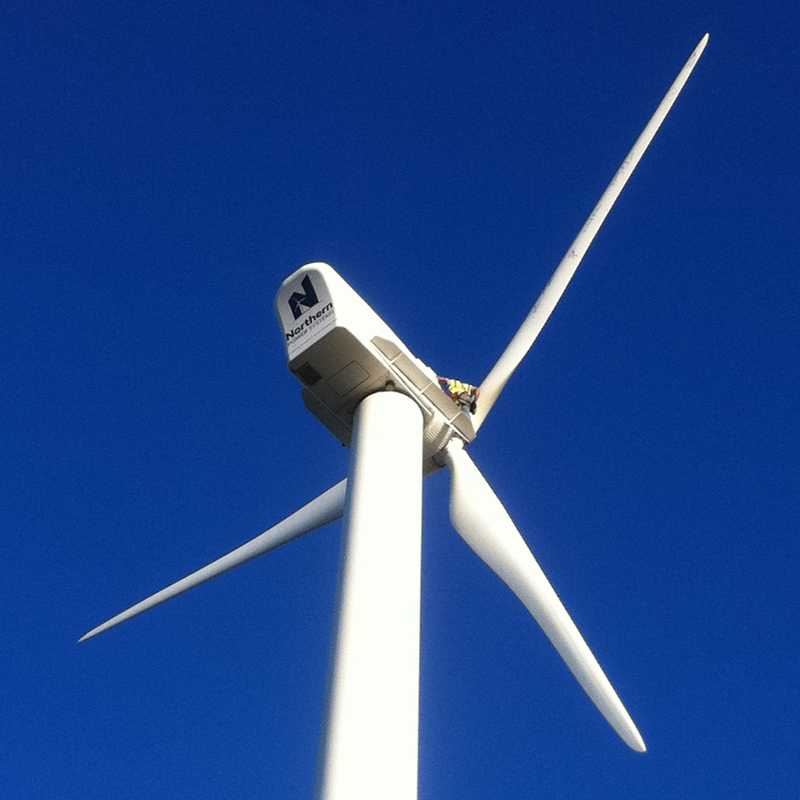 It was through our relationship with a number of John Deere dealerships we became involved in installing wind turbines as John Deere looked to providing their large corporate agricultural customers a wind based solution to save energy costs. As of this date we have installed nearly forty wind turbines in the agricultural and governmental markets. Some of our more notable customers over the years are John Deere, Farmland Industries, CBS radio affiliates, Cessna Aircraft, DTN, and Sprint as well as a variety of city and county governmental agencies. We have relationships with Northern Wind Power, Endurance Wind Power, and Xzeres Wind.